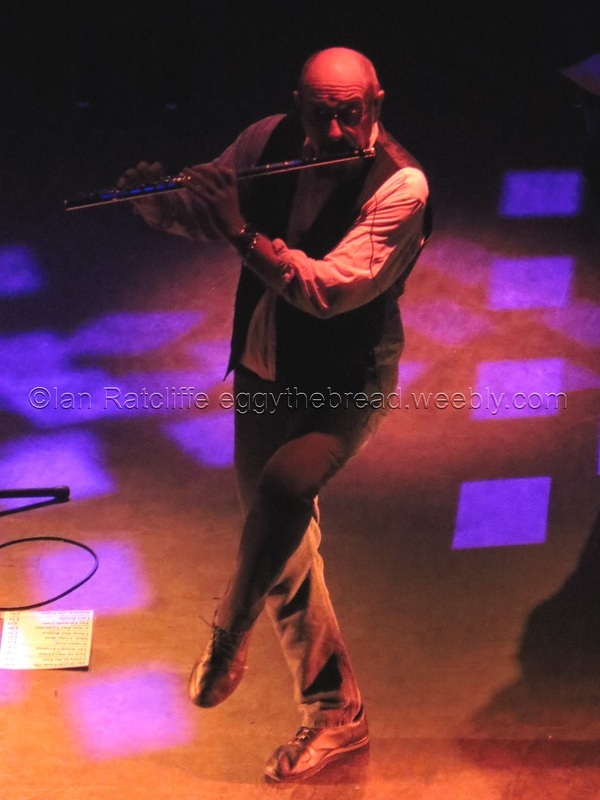 I was aware of Jethro Tull from the "Living in The Past" single back in 1969, but my Dad first exposed us to these prog rock gods in 1972 or so when he got a copy of "Thick As A Brick". This LP was an eye-opener - 1 track (split into 2 halves of 20 or so minutes, one on each side of the LP). It had flutes, rock guitars, banging drums, poetic lyrics and a cover which folded out into a broadsheet local newspaper called The St Cleve Chronicle complete with Classified Ads for Lost and Found Penguins. It really is just so good. 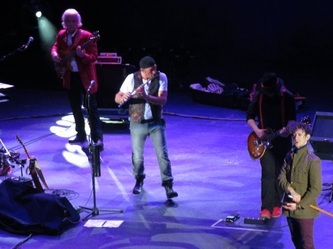 Interest developed - "Aqualung", "A Passion Play", "Warchild", "Minstrel In The Gallery", "Too Old To Rock 'n' Roll, Too Young To Die" and "Songs From The Wood" are all very good albums. My brother took me to see them at the Royal Albert Hall in 1980. 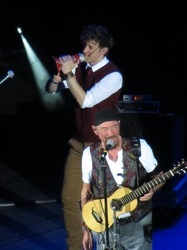 The re-invention of the group from Prog Rock to folk-ish to full blown folk and back has meant that they have stayed fresh. 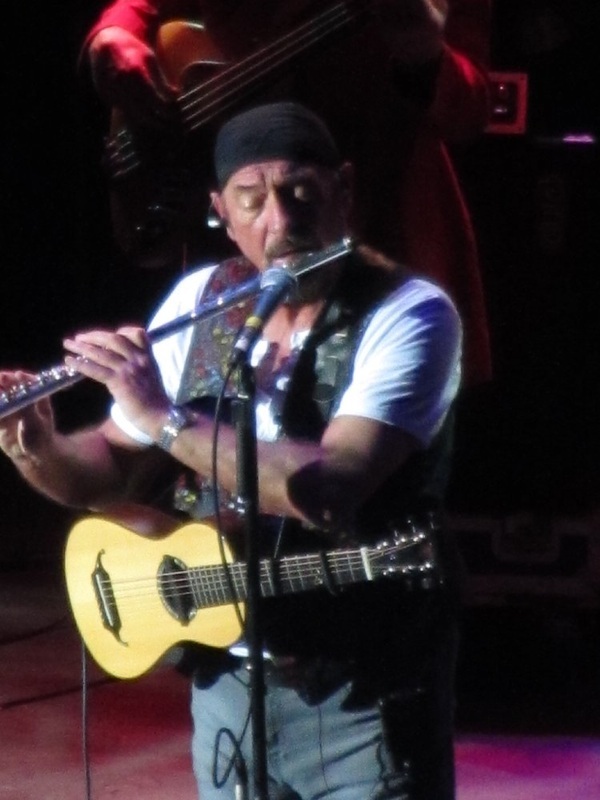 In 2012, Ian Anderson released a sequel to Thick As A Brick called "TAAB 2". This was an intriguing project, telling us what had happened to Gerald Bostock, the child prodigy who supposedly wrote the original Thick As A Brick poem. 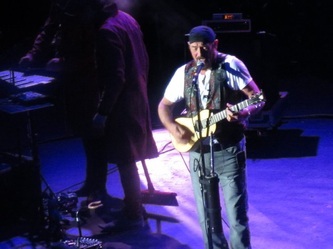 "TAAB 2" at the Hammersmith Apollo. 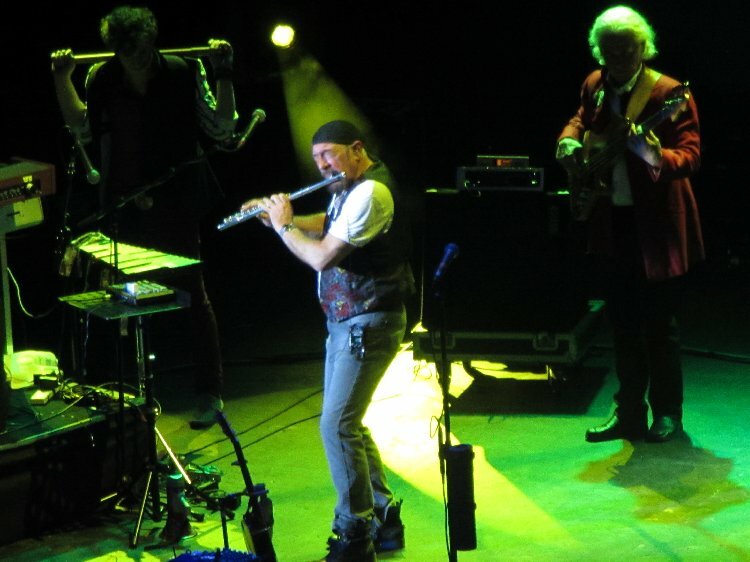 In 2015 - the inevitable happened and Ian Anderson thought long and hard about how to get a fresh take on some of his back catalogue. In September, he is going on the road with "Jethro Tull: The Rock Opera" telling the tale of the agricultural pioneer whose name his band took all those years ago. Ian Anderson toured with a music and video extravaganza - Jethro Tull:The Rock Opera, it was a great night.